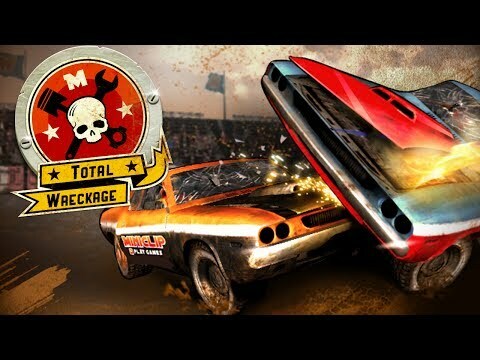 Crash and smash your way through a series of demolition derbies in Total Wreckage, a hard-hitting game of vehicular destruction! Eliminate the minimum number of cars shown to win each contest and move on to the next. Hit the turbo boost to ram other cars at maximum speed or evade other drivers. Use the handbrake to make tight turns in pursuit or for a last-second dodge. Set off traps to snare your opponents, but be careful not to be caught in one yourself! Complete a series of side missions to unlock more cars. Play now and get wrecking! By clicking "Add Total Wreckage to Your Website", you agree to the Webmaster Terms and Conditions.